Over the weekend we planted our garden. 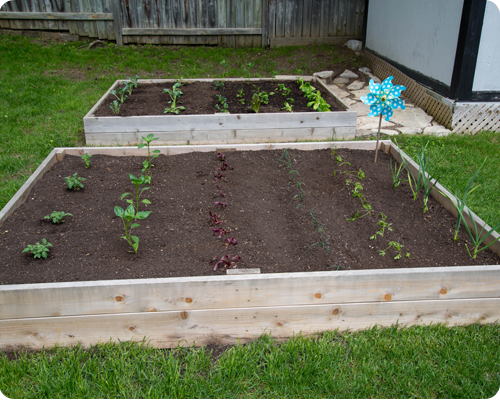 This is the first year that we will have two raised beds and we are really excited to grow a variety of vegetables. In this garden we have planted tomatoes, peppers, beets, leeks, carrots and garlic (which was planted in the fall). 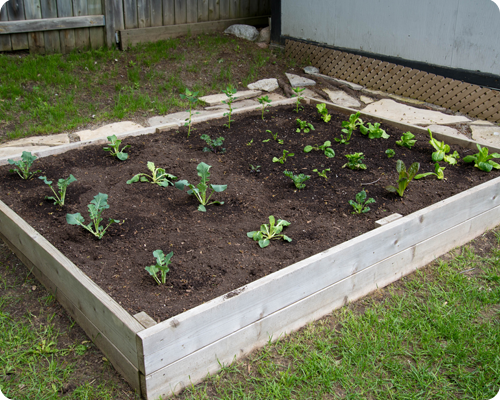 And in this garden we have broccoli, cauliflower, kale, spinach, lettuce and quinoa. We had not even thought of planting quinoa until we saw it at the garden center and decided to give it a try; apparently you can eat the leaves....who knew? Lucky for us, the many rabbits that live around our house have not eaten any of our new plantings. 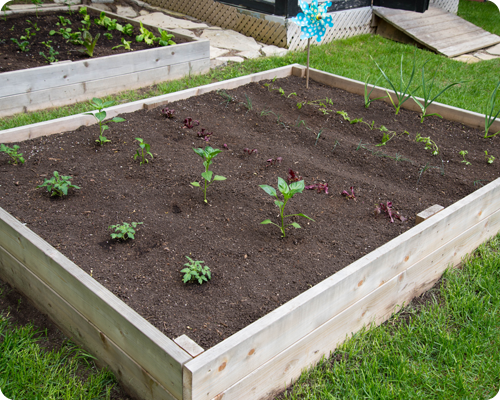 With some watering and tending, we should be enjoying delicious veggies from our own garden this summer. We can not wait. Very impressive. Your girls will so love watching how it all grows. The girls are loving the garden so far and are learning so much - another benefit of the garden for sure.